By Daniel LaChance. 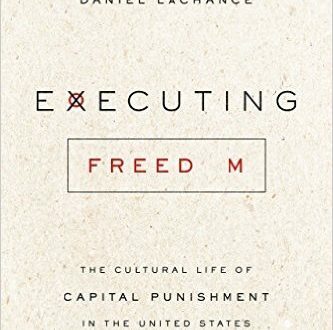 Examines the place of the death penalty in American culture and how it has changed over the years, drawing on an array of sources, including congressional hearings and campaign speeches, and true crime classics like In Cold Blood, and films like Dead Man Walking. Read more.